Every Friday, we get free delivery of the local newspaper with flyers from different stores. An Asian supermarket flyer regularly features tray buns at a discounted price. They are so tempting and always draw my attention. Inspired, I decided to replicate them at home. 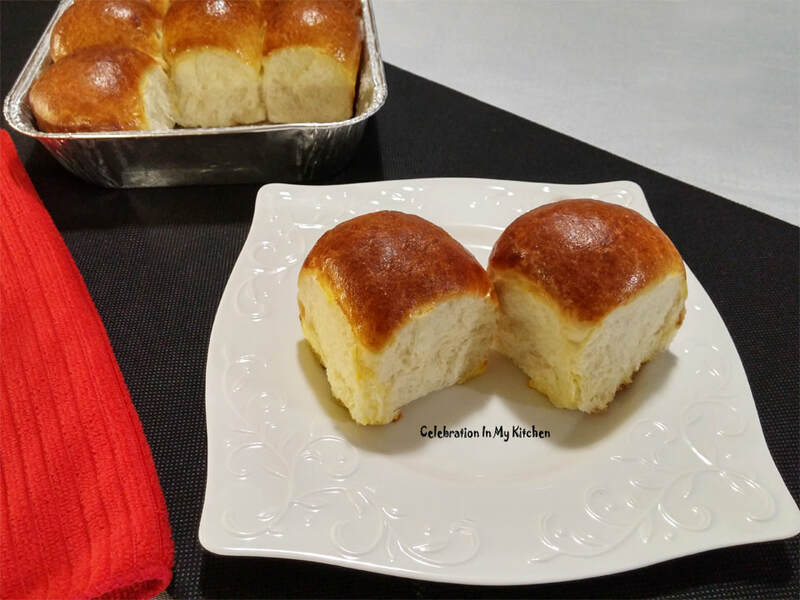 Easy to prepare with the buns baked in a tray, brushed with an egg wash before baking to give them a rich brown glaze. Soft and fluffy with a touch of sweetness, these are perfect for breakfast, lunch or dinner. 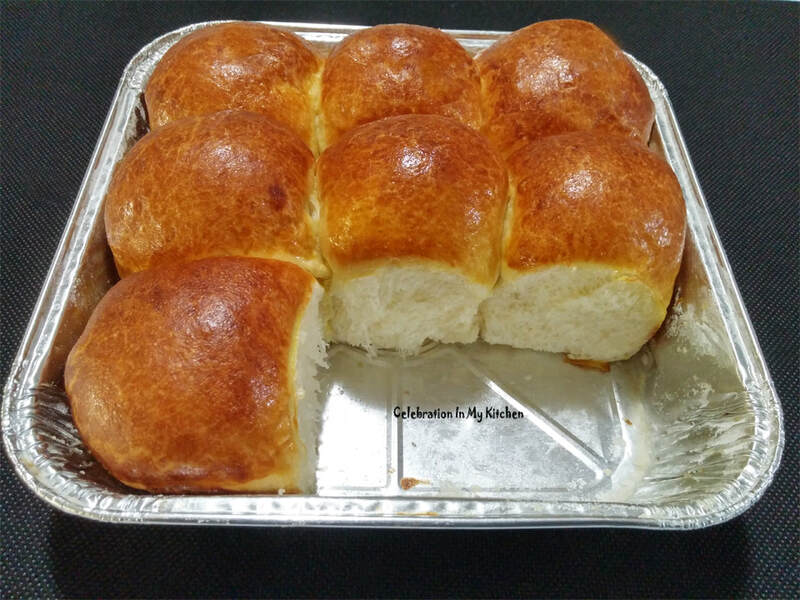 The dough for the buns is enriched with milk, egg, butter and sugar. Kneading the dough well is crucial for development of gluten, a type of protein that forms the structure. It gives the dough its strength and elasticity trapping the air during rising and baking. An underworked dough will lack the proper structure and texture. 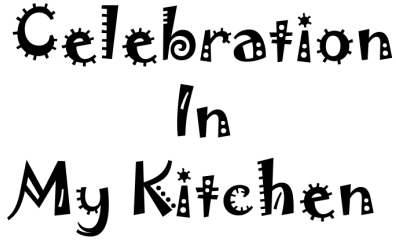 Key points to remember in bread making is proofing the yeast correctly, kneading the dough properly, giving it enough time to rise and double in size in a warm place, deflating the air and shaping. Then, a second rise to increase in volume and finally baking. Once you have mastered these steps, breading making at home is not only exciting but extremely satisfying. In the no-knead process, the dough is very wet and fermented for a very long time with a small amount of yeast. It feeds on the sugars in the flour and expels carbon dioxide, which fills the dough with air that forms long strands of gluten. Mix in the yeast with lukewarm milk along with a pinch of sugar and set aside for 5 minutes to foam and froth. Note: The milk should be slightly warm to the touch not hot. Sift the flour in a bowl. Add the balance 1 tablespoon sugar, salt, egg, butter and above yeast mixture. Form into a dough and knead well for 5 to 8 minutes until soft. It should spring back when pressed with two fingers. Dough was kneaded by hand but you can use a stand mixer with the dough hook. No extra flour was used to knead. 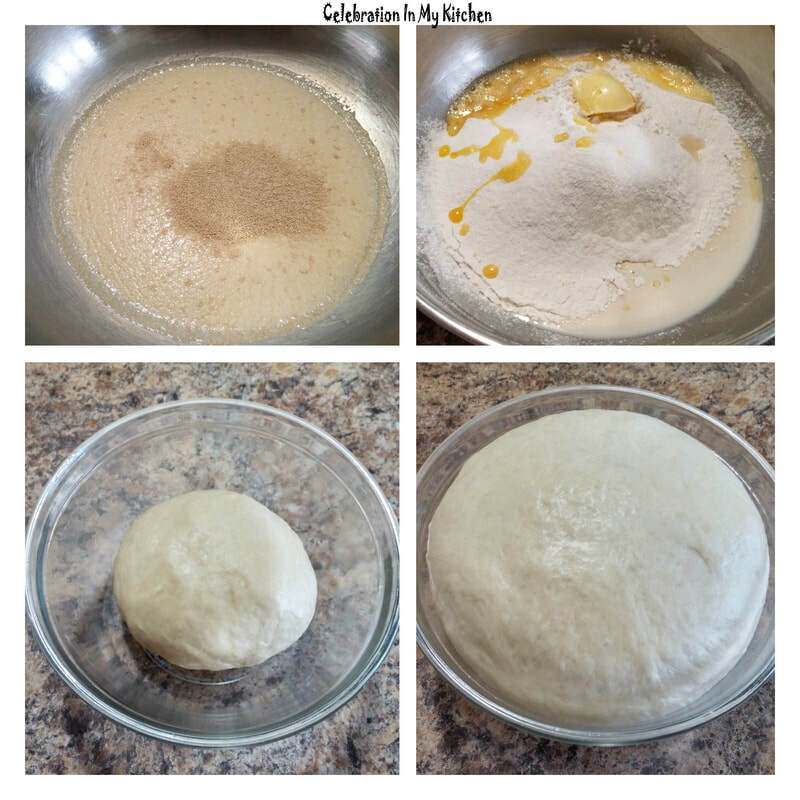 Place dough in a greased bowl, turning once. 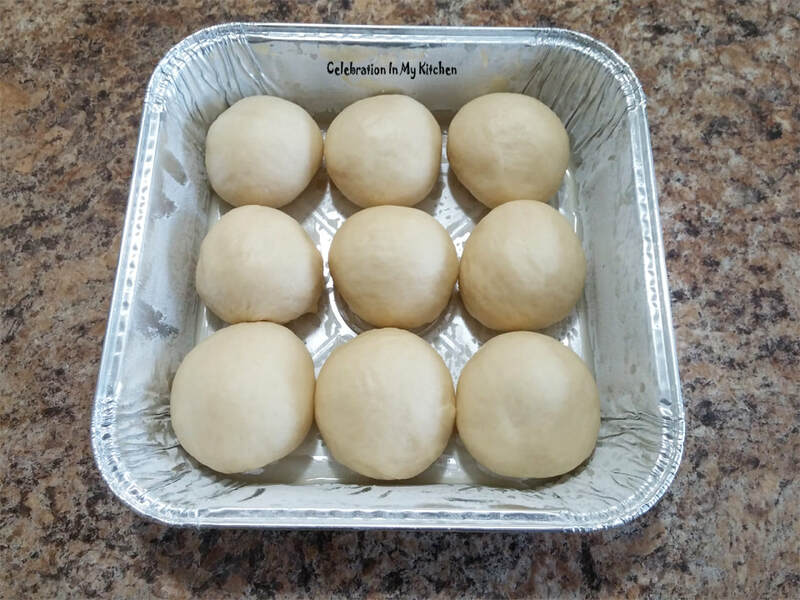 Cover with plastic wrap and let dough rise in a warm place until double in size, about 1 hour. Grease and flour a 7 5/8 inch x 7 5/8 inch x 1 3/4 inch square pan. Cover pan and let rise in a warm place until double in size, about 30 minutes. 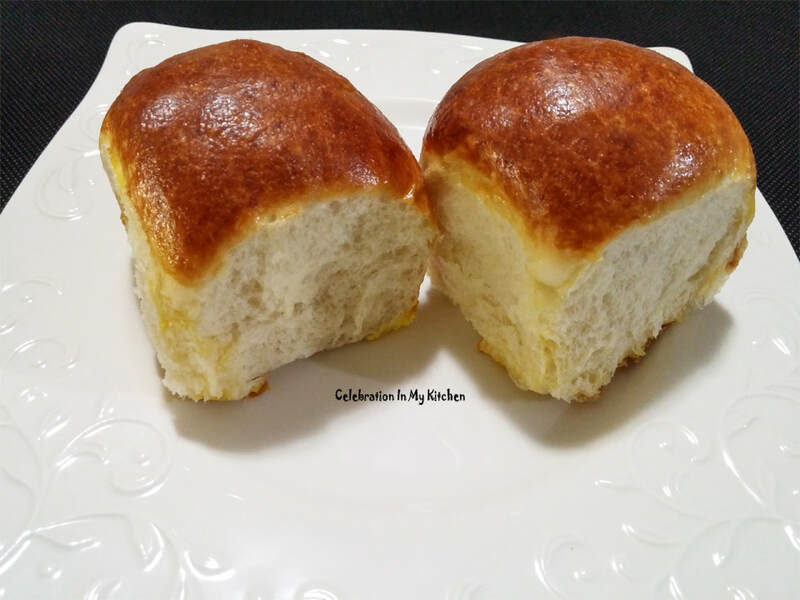 Gently brush the risen buns with egg wash. Bake for 15 minutes or until golden brown. 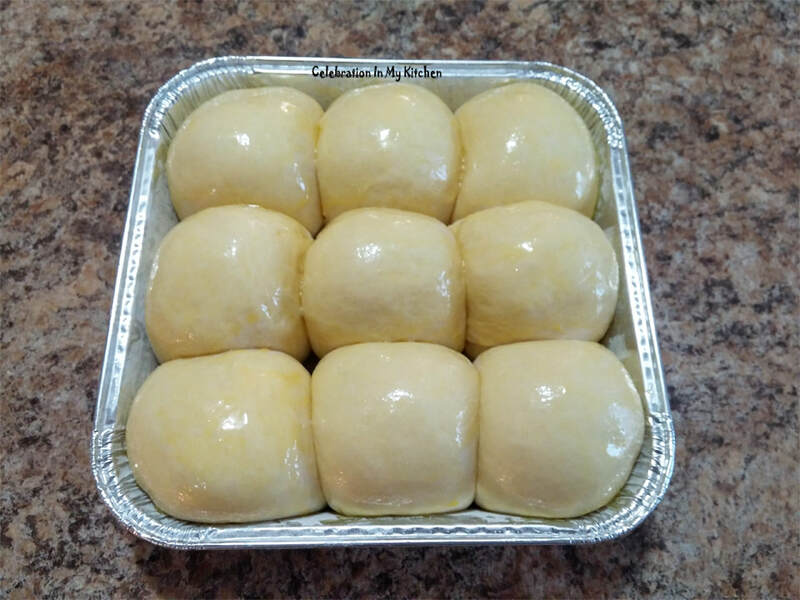 Once out of the oven, brush buns with melted butter for a shine. Carefully, remove buns from the pan and place on a wire rack to cool. 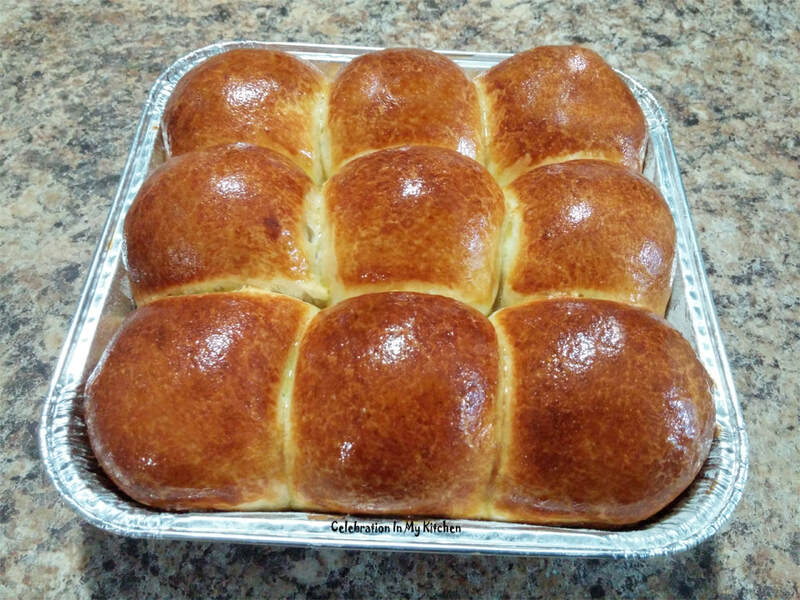 Serve buns warm or at room temperature. 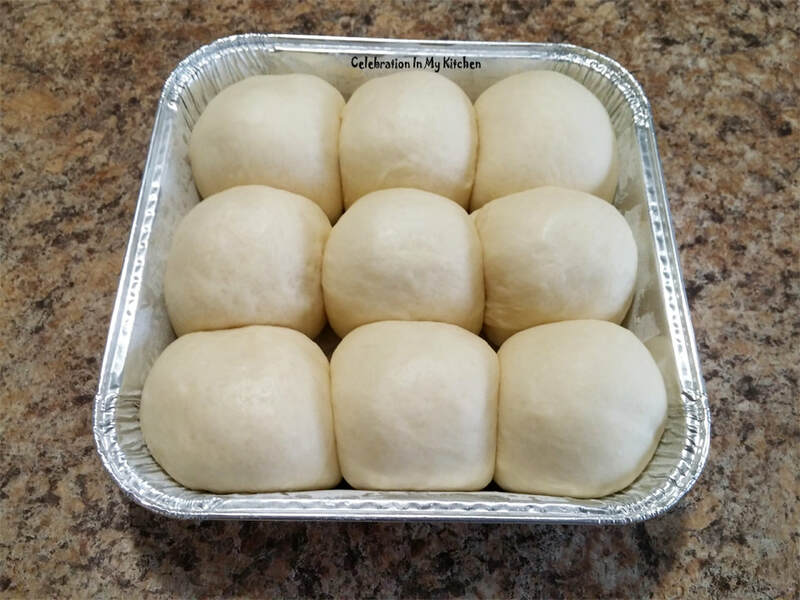 To warm buns, reheat them individually for 15 or 30 seconds in the microwave. 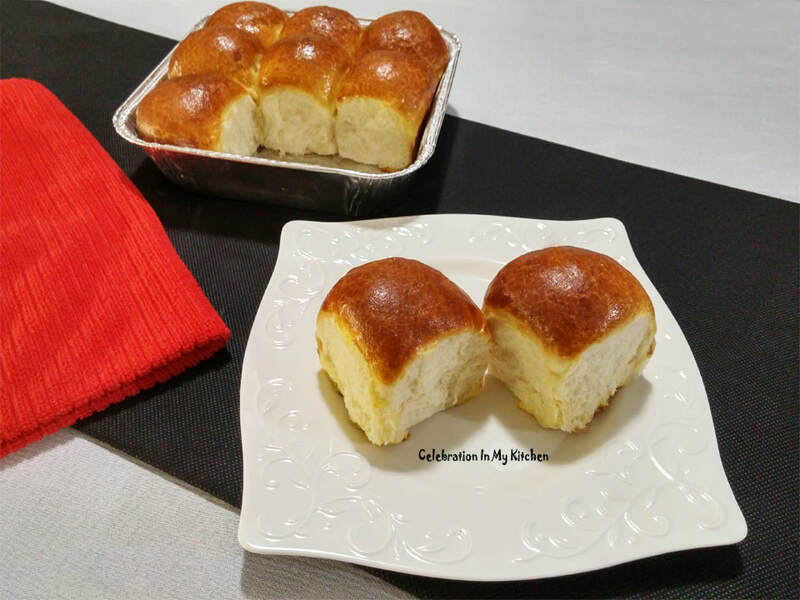 For bread without egg and sugar, refer to Goan Pão (Bread) recipe by clicking here.